Ready to get started? 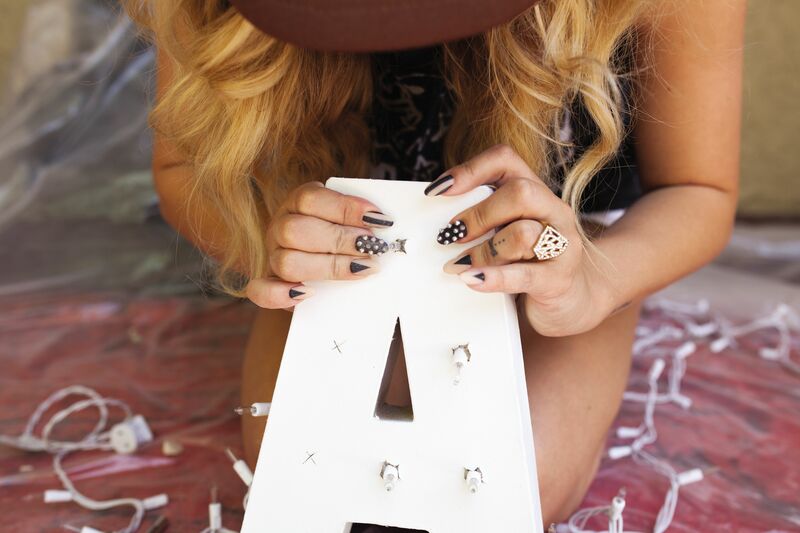 Well luckily, New You found the ultimate book that’s perfect for anyone looking to get crafty. Better yet, this paperback will not only teach you how to successfully complete tons of crazy, interesting DIY projects but also make you laugh. Kate Albrecht, better known as Mr. Kate, has created a successful business as a hugely popular lifestyle blogger, YouTube star, and designer. Her latest triumph is her new book that perfectly reflects Kate’s passion to inspire people to think outside the box and create their own unique identities through style and design. A HOT GLUE GUN MESS: Funny Stories, Pretty DIY Projects (mrkate.com, $25) is the most creative 271 pages you’ll ever read, featuring 50 entertaining, unfiltered stories from Mr. Kate’s crazy life and 50 gorgeous and approachable DIY projects. And when we say unfiltered, we mean unfiltered! In fact, before the book even begins, there is a page that reads: “Warning: This Is Not A Normal Craft Book,” considering Mr. Kate shares all the crazy journeys she has experienced growing up as the daughter of a high-powered Hollywood father and an oddball, tofu-making mother. Yet, these “personal, inspiring, sad, weird, crazy, downright mad, and hilarious stories,” are what inspired Kate to create art that anyone can do too. There’s no way this book won’t make you laugh out loud considering how Mr. Kate’s first period inspired a gorgeous watercolor curtain project. But Kate’s main hope for her readers is to celebrate their inner weirdness that makes them giggle with joy or take in a quick breath of delight. Still not convinced? We have included a special sneak peek of one of Mr. Kate’s amazing DIY projects from her book. Called the DIY Ping-Pong Marquee Letters Project, Mr. Kate got the inspiration for this beauty from her one night stand with one of the most famous athletes. If you’re not good at sports, you can still have fun with these balls. 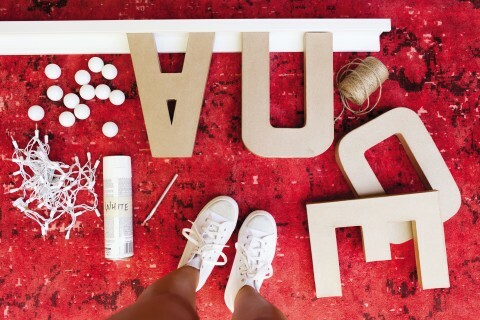 Make these DIY Ping- Pong Marquee Letters that score some bright style points in your interior space. Use the craft knife to cut out the backs of your letters. Set up the drop cloth outside and spray paint the letters the color of your choice. Let dry for about 1 hour. You may want to apply two coats. On the front side of each letter, make evenly spaced “X” cuts along the center of the shape of the letter, where you want the lights to show. I left 2½ to 3 inches between each cut. Think about where you plan to display the word and make sure the plug end of a string of twinkle lights will be where you need it. Starting with the first letter in your word, grab a string of twinkle lights and push the lightbulbs through the “X” cuts from the back. Connect another string of lights as needed, going from letter to letter and storing the cord and any extra bulbs in the hollow back of a letter if you need to. Make a small “X” cut on one Ping-Pong ball for each light bulb that’s showing. Push a ball onto each lightbulb. Wrap any cord that shows with twine for a more finished look. Tip: Tie a knot every 10 to 15 wraps to keep the twine from unraveling. Hang the picture ledge using a level and the appropriate nails or screws for your wall. Arrange the marquee letters, tucking the connecting cord behind the lip of the picture ledge, and plug in your new light art! For more information about the author, check out her social media sites: Facebook, Twitter, Instagram. What can I do to keep my skin looking healthy and young?